At the weekend, I was back in Stirling for Bloody Scotland, and what a fantastic time I had! After exhausting myself last year by going to FAR too many events (as well as burning through entire adrenal glands with nerves over doing my Crime in the Spotlight slot), I decided I would try and pace myself a bit more this year and also catch up with people between events better than I did last year. I didn't manage to make it to Stirling for the opening gala, but various friends have told me just how much of a fantastic event I missed. It was apparently the only place to be on Friday night and the torchlight procession through Stirling looked amazing. The winner of the McIlvanney prize was announced - Denise Mina for "The Long Drop" just before the procession too. Anyway, I only arrived on the Saturday so I missed all the fun! Next year I'll try and make it there for the Friday night. First up (for me) on Saturday was "Queens of Grip Lit" with Jacky Collins chairing the panel of Sarah Pinborough ("Behind her Eyes"), CL Taylor ("The Escape") and Clare Mackintosh ("I See You"). I loved this session. Jacky was the perfect chair - asking great questions but also allowing the authors free rein to answer. I came away feeling very inspired. 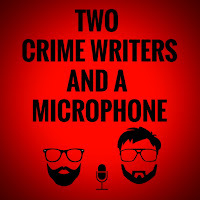 My only other event on Saturday was "Two Crime Writers and a Microphone" in the evening, with the eponymous two writers being Steve Cavanagh and Luca Veste, with Stuart Neville providing music (as well as chat), along with guests Ian Rankin, Mark Billingham and Eva Dolan. To say that it was live and uncensored is putting it mildly. 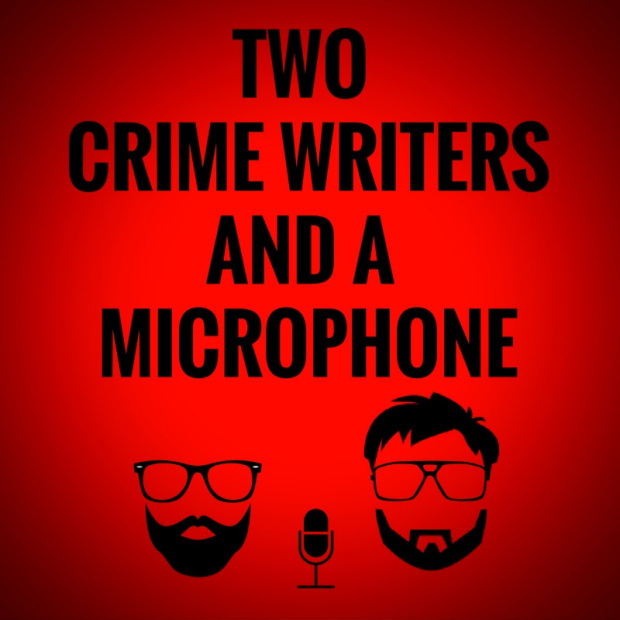 Two Crime Writers and a Microphone is a regular podcast and you can hear earlier episodes here. The evening event was raucous and hilarious and a great deal of fun. The rest of Saturday, I caught up with other friends and writers - some fellow Spotlighters from 2016, some writers whom I've met since then. The Golden Lion in Stirling was a great focal point with anyone at a loose end making their way there to see who else was around. Unfortunately, I barely slept on Saturday night as the bed in my hotel was as hard as iron! Thankfully, I could have a bit of a lie-in as my first event on Sunday was at 2.30. What was left of the morning, after a lie-in and a lazy breakfast, was again taken up by catching up with people. The first session of the afternoon was "Getting Rid of the Bodies" with James Oswald and Prof. Sue Black, chaired by Lin Anderson. James is the author of the Inspector McLean novels (the most recent one is "Written in Bones") and Prof. Black is a forensic anthropologist from the University of Dundee. They talked (occasionally a little gruesomely!) about how to remove a body from a tree and whether there should be a "body farm" in Britain, amongst other things. I found the session very interesting and Lin Anderson was an excellent chair for the session. Last up for me was Chris Brookmyre, talking about his latest book "Want You Gone" to a packed Albert Halls. We were also treated to a glimpse into his next book, which is set on a space station, some time in the future. Rest assured, despite the time and location shifts, it promises to be as anarchic as ever. One of the sponsors, bookdonors (an amazing group who trade in used books to help charities, people and the environment) put a free book on every chair, as they did last year so again, I have come back with a heap of great things to read. It was a fantastic event and I'm already looking forward to next year.